The Black-headed Gull was @SpeciesofUK from 16th to 22nd June. 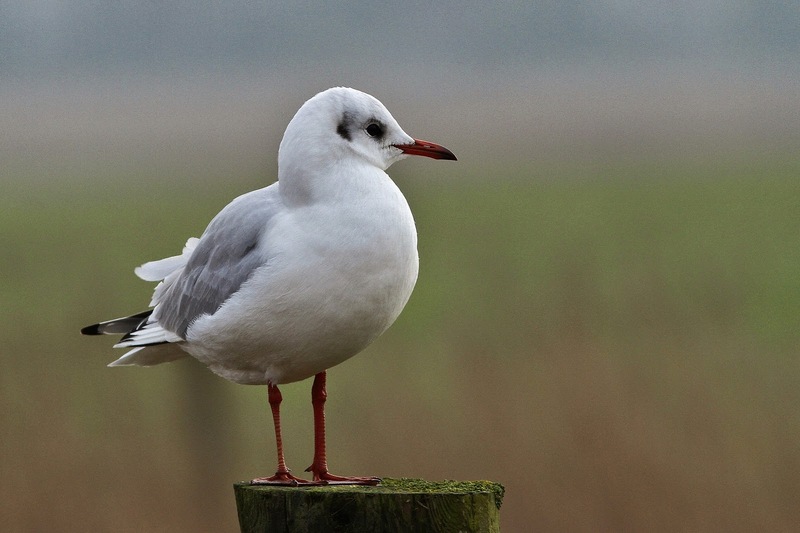 Black-headed gulls are a common species of UK gull, found just as often inland as they are on the coast. They are noisy and quarrelsome birds. Black-headed gulls are members of the Croicocephalus genus. Gulls are seabirds of the Laridae family. They are closely related to, but distinct from, the tern family Sternidae. Gulls are remarkably cosmopolitan birds. They are found across the globe. In fact, they live on every continent, including the margins of Antarctica. 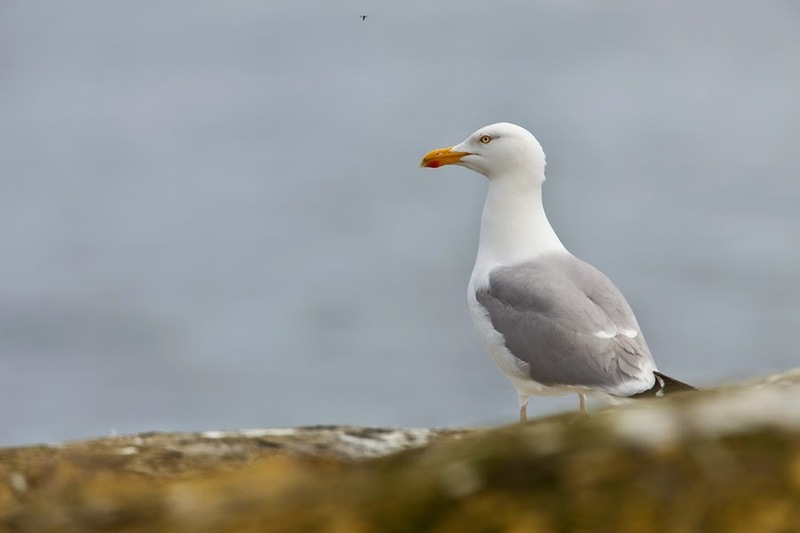 Most gulls are coastal or inland birds. They don't venture far out to sea (with the notable exception of the kittiwake). As is the case with many gull species, the black-headed gull was originally placed in the genus Larus. However, from around 2005, the Larus genus started to be split up. One of the new genera created was Croicocephalus, which now contains several small- to medium-sized gulls including the black-headed gull. Croicocephalus, appropriately enough for the black-headed gull, means ‘colour’, from Greek ‘chroa’ and ‘head’ (‘cephalus’). The black-headed gull's species name Ridibundus means 'laughing', also very appropriate given its noisy cacophony of calls. The black-headed gull is our commonest inland gull. The black-headed gull is found commonly almost anywhere inland, so it's not really a 'sea' gull. 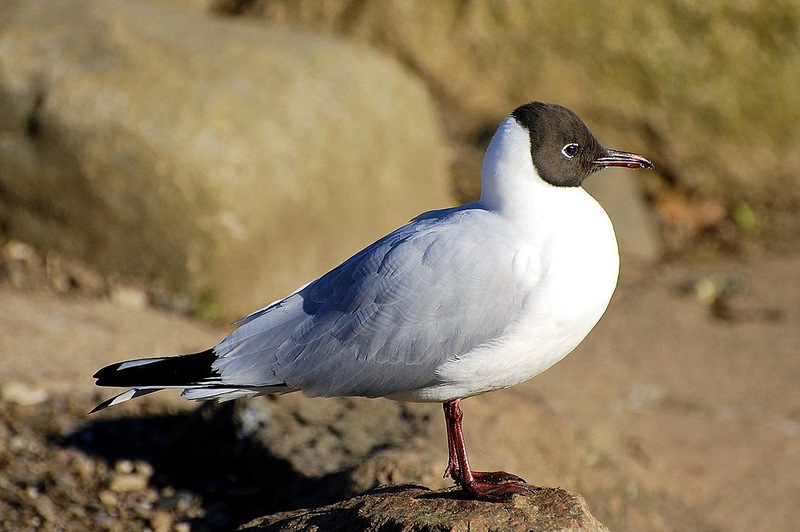 The black-headed gull is common across the UK but is most numerous in northern England, Scotland and Wales. Most of the world’s black-headed gulls are migratory, breeding in the Palearctic and heading south for the winter. The UK is unusual in that we also have a sizeable resident population. The UK has about 140,000 breeding pairs of black-headed gulls, which equates to 6% of the total world population. 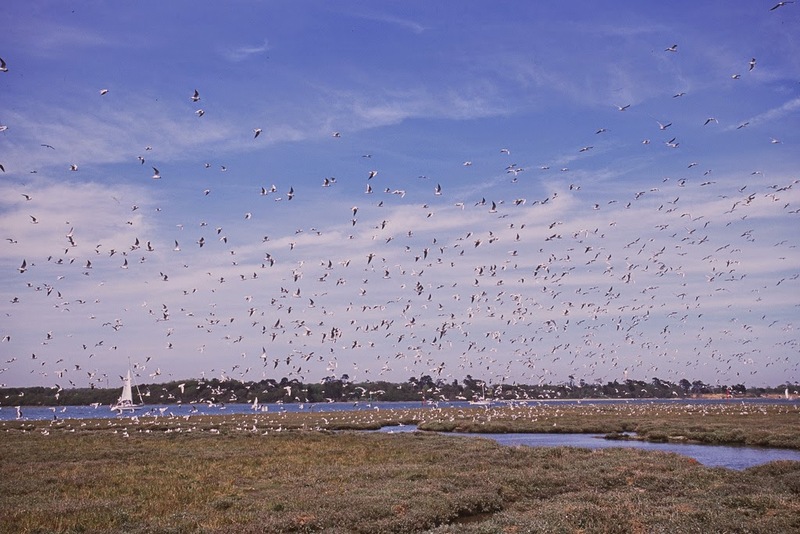 In winter, migrants to the UK swell the number to an incredible 2.2 million birds. 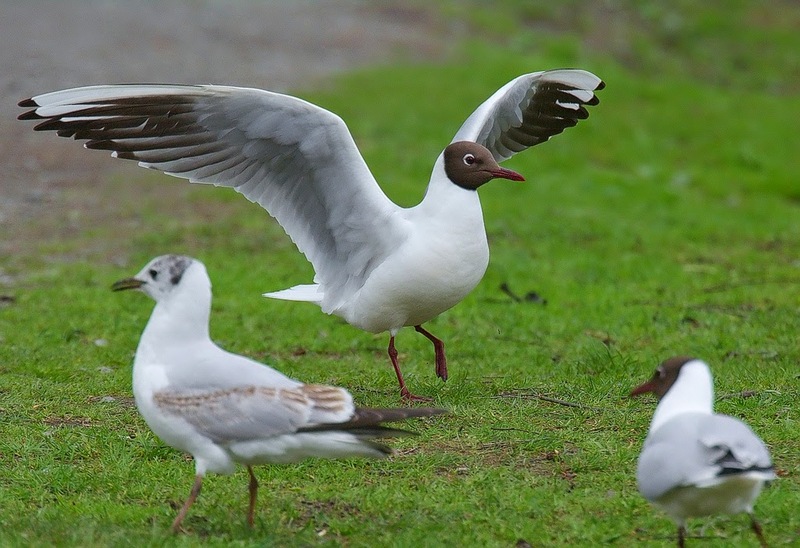 Outside of the UK, black-headed gulls are found in Europe except for the far north, Asia, eastern Canada and in winter also the north and west African and Arabian coasts. There's a good global distribution map for black-headed gulls here. The black-headed gull is fairly easy to identify. Gull species have a range of plumages depending on their age and the time of year, making them notoriously tricky to tell apart. Fortunately, the black-headed gull is relatively easy to pinpoint, especially in its adult summer plumage. 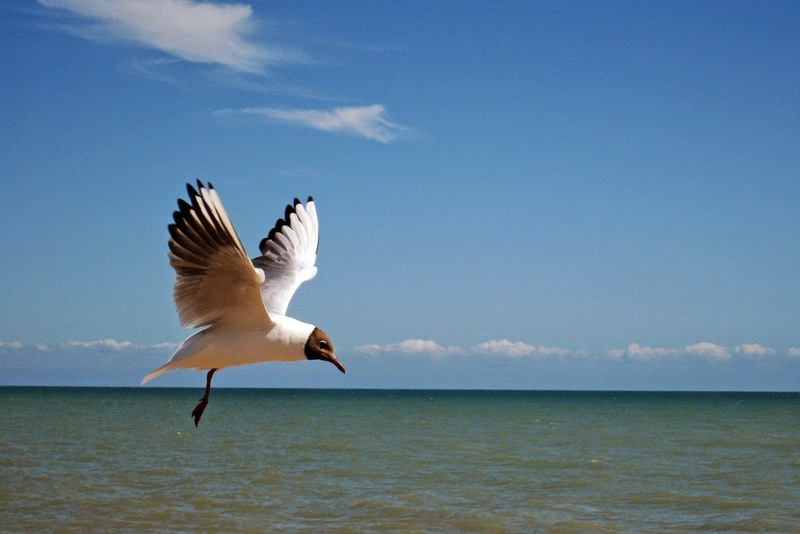 The black-headed gull is a small gull, 39-44cm long with a 94-105cm wingspan. 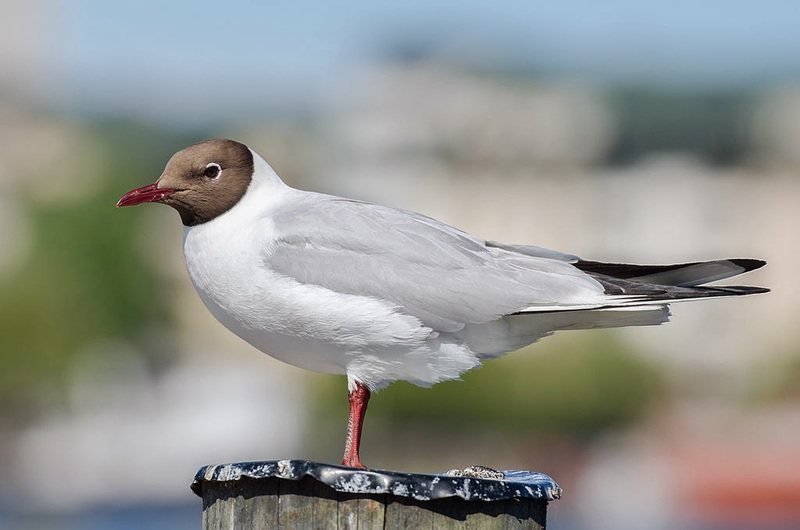 The black-headed gull has a silver grey body with white underparts, black tips on the primary wing feathers, and a distinctive dark red bill and legs. In flight, the white leading edge to the wing is a good way of distinguishing the black-headed gull from the common gull. The black-headed gull is best known for its distinctive summer plumage. The black-headed gull gets its name, rather obviously, from its 'black' (really more a chocolate-brown) head, which is the main feature of its summer plumage. For much of the year though, when in its winter plumage, the black-headed gull loses its black hood and its head is in fact white. In the black-headed gull’s winter plumage, the only sign of the formerly black head is a small dark smudge to the rear of each eye. 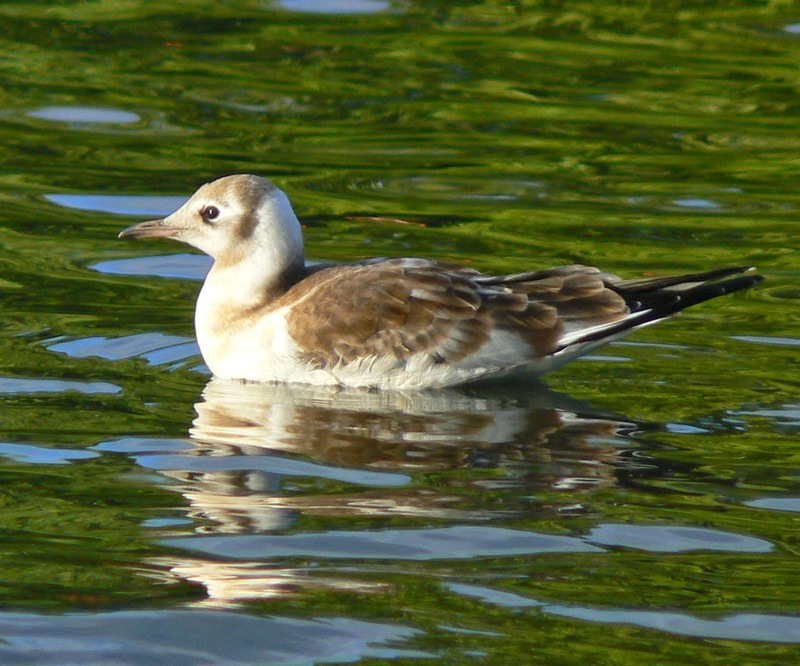 Juvenile black-headed gulls have a ginger-brown mantle, shoulders, and wing feathers. They become like the adults over two years. 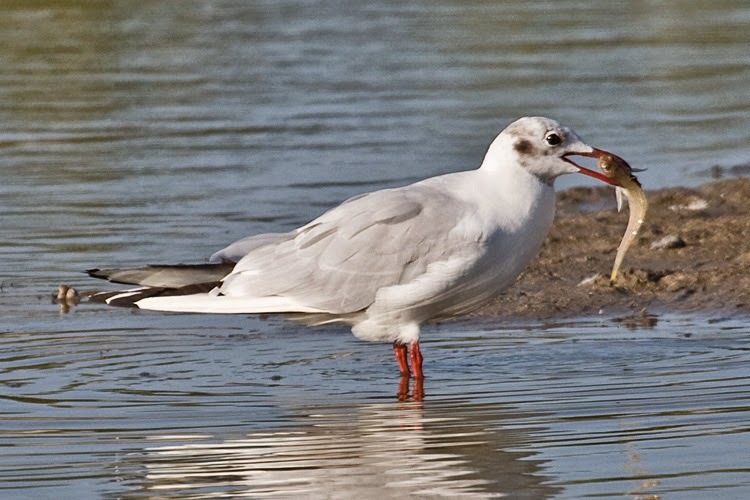 The species most easily confused with black-headed gulls is the Mediterranean gull. 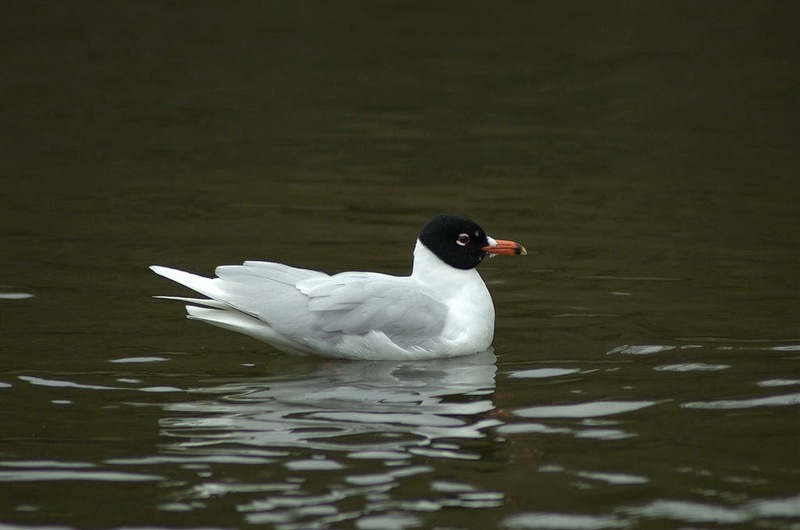 However, Mediterranean gulls are very scarce in the UK, only appearing in southern and eastern coastal areas. Mediterranean gulls are a paler grey than black-headed gulls, lack black wing tips, and have a truly black head that extends from the nape into the neck. 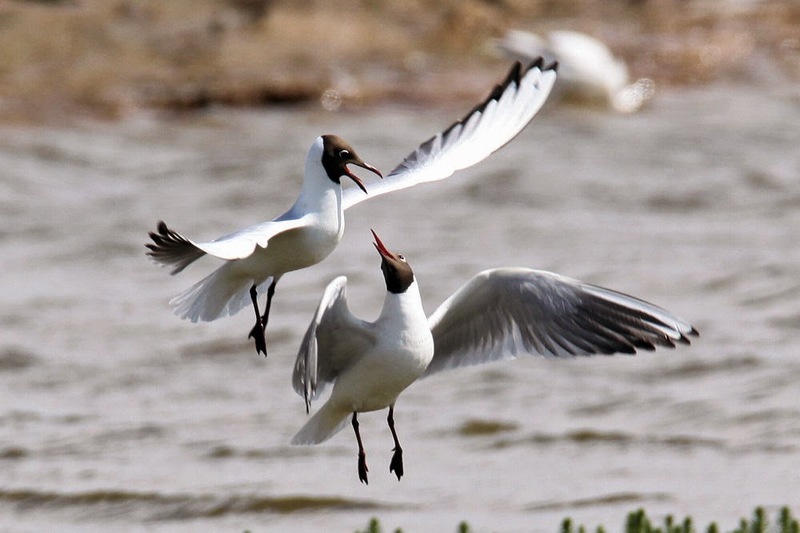 Black-headed gulls are sociable and quarrelsome birds and are extremely noisy. Black-headed gulls have a variety of calls. One of the most common is a harsh laugh, which has given it the name ‘laughing gull’. Black-headed gulls are most often seen in small groups or flocks. They gather in larger numbers when roosting or where there is plenty of food. Black-headed gulls typically eat a variety of worms, insects, small fish and carrion. They'll also take scraps and steal from other birds. 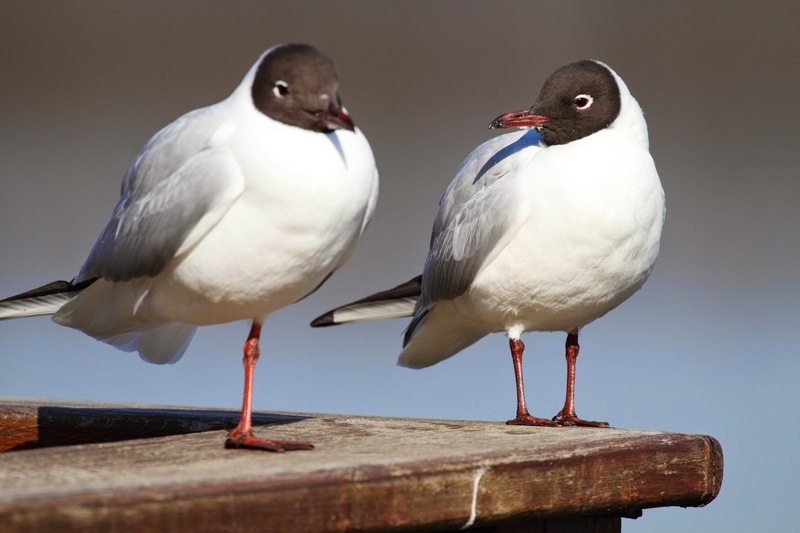 Black-headed gulls can also be found scavenging for food in household or industrial waste. The black-headed gull breeds in colonies. Black-headed gull colonies are formed on cliffs, large reedbeds or marshes, or on islands in lakes, nesting on the ground. 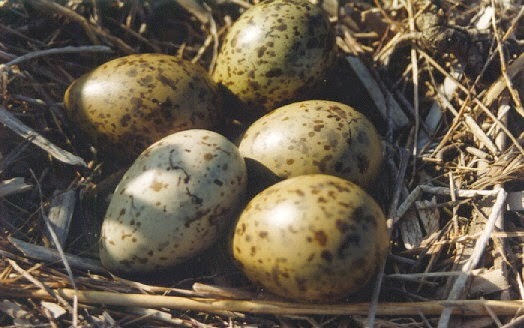 The black-headed gull nest is usually a scrape in the ground or a pile of dead plant material. The eggs are light greenish-blue with dark blotches on them and are smooth and glossy. 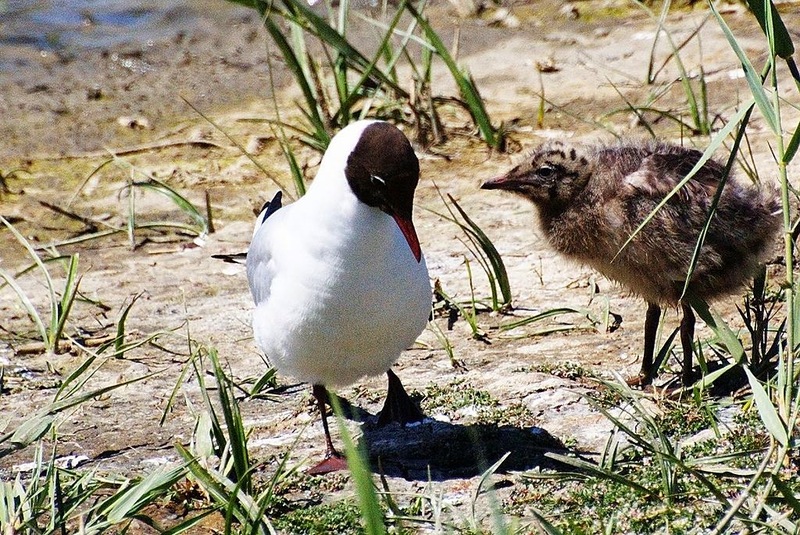 Both black-headed gull parents share the duty of incubating the eggs. Thirty-five days after hatching, black-headed gull chicks fledge. Black-headed gulls are fairly long-lived, with a maximum recorded life-span of thirty-two years. The black-headed gull is far more common than the ‘common gull’!